As the Dominican Republic cut diplomatic ties with Taiwan and switched its recognition to Beijing, Taiwan vowed to defy this latest encroachment and said that Beijing’s plot to deprive Taiwan of international space would only antagonize the Taiwanese people and fuel their resolve to resist. The Caribbean state announced late on April 30 that it has established diplomatic relations with the People’s Republic of China and cut ties with Taiwan. Before that, the Dominican Republic was one of only 20 countries in the world that still maintained formal diplomatic ties with Taiwan. “We have taken the decision to establish diplomatic relations with the People’s Republic of China, with the conviction that this decision will be extraordinarily positive for the future of our country,” the Dominican Republic official statement read. Despite not being formally recognized by the majority of countries in the world and being excluded from the United Nations, Taiwan maintains official diplomatic relations with a limited number of countries that recognize Taiwan instead of China. With the departure of the Dominican Republic, now only 19 countries remain on the list. According to a Taiwanese media report, intelligence gathered by Taiwan’s diplomatic network had warned in late February that Beijing was upset over the apparent upgrading of U.S.–Taiwan relations, especially the passage of the Taiwan Travel Act, which it had vehemently opposed. The Chinese regime planned to “punish” Taiwan by snatching away the democratic island nation’s last remaining diplomatic allies. 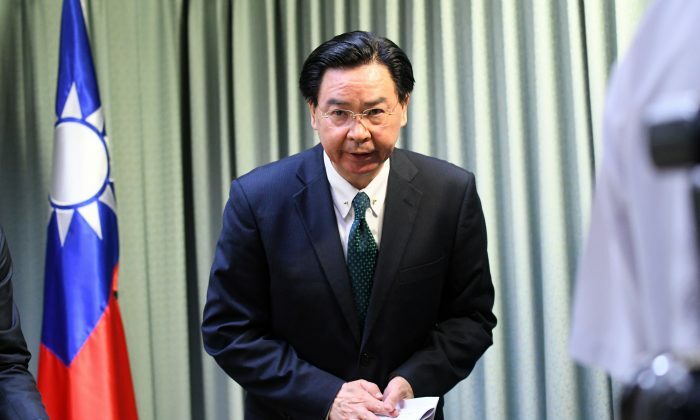 In response to the Dominican Republic’s decision, Taiwan’s foreign minister Joseph Wu said on May 1 that such a move is “deeply unfortunate” and also said that Taiwan strongly condemns Beijing’s plot to take away its diplomatic allies. Wu also said that Beijing’s aggressive action will only further push away the people of Taiwan, a majority of whom already favor maintaining political separation from China for as long as needed, while a significant number of those even desire to assert Taiwan’s status as an independent sovereign country. In a statement, Taiwan’s foreign ministry also warned that Beijing had a track record of luring Taiwan’s allies away with lucrative offers of foreign aid, only to renege on those promises after they cut ties with Taiwan and switched recognition to Beijing. Costa Rica and the African island nation of Sao Tome and Principe are listed as two examples of countries that have been duped by the Chinese regime. China’s Communist Party regime considers Taiwan a part of its territory and insists on a “one-China policy” that precludes any international space for Taiwan. It has been constantly putting pressure on Taiwan’s remaining diplomatic allies. Just last year, Panama cut diplomatic ties with Taiwan and switched recognition to China. Over the past two decades, every departure of Taiwan’s remaining diplomatic allies has consistently been met with outrage and defiance from the Taiwanese public, with politicians and commentators usually expressing anger and resentment toward Beijing.